Over 70 percent of successful Internet attacks now exploit vulnerabilities in the application or the application platform. NetScaler protects against a wide variety of threats with integrated security capabilities that protect application resources, augmenting existing network-layer security protections. 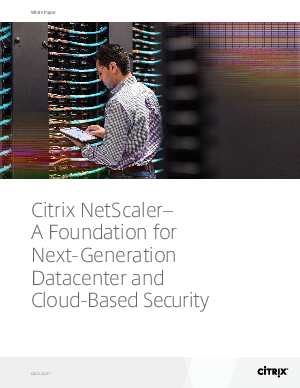 Read this paper to learn how NetScaler is meeting modern demands for more robust datacenter security.